Have you given excuses not to jog because you don’t have a suitable hijab to wear? Are you always rushing to your 8PM Friday Futsal? Are you worried about your hijab unraveling while you go wall climbing? Does hot yoga seem like the worst idea because you’re sweating through the February heat? We at NURD understand the struggle you are facing in finding the right sports hijab. NURD believes everyone deserves to play sports without any restriction. 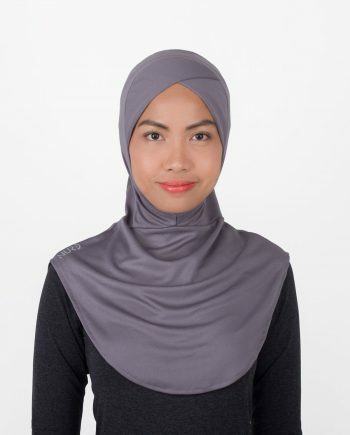 Our purpose is to offer women comfortable performance-hijab wear that is breathable, quick-drying and trendy (of course looks are important!). 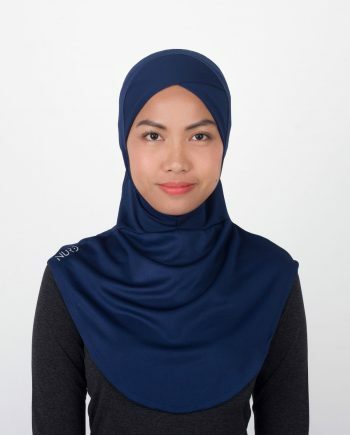 Whether it is for yoga, jogging, hiking, football or any other rigorous sports, our sports hijab can adapt, give comfort, performance and style to your everyday sports activities. The design is constructed from a durable single-layer NURD Ultra-Light Microfiber Mesh that allows optimal breathability and promotes flexible movement. The mesh is also stretchy, so when combined with an elastic binding it allows for a personalized fit that adapts to both the wearer’s head and her sport. Does not consume time. It only takes a few seconds to Grab, Wear and Go! A precautionary measure for those who exercises at night. Safe to wear while performing any rigorous activities. Allows you to move freely on any rigorous activities. Flexible movement with extra comfort. Allows heat to escape the body and for you to stay cool. We have listed a complete sizing details of our One Size Fits All stretchable and breathable sports hijab. Please checkout our handy sizing guide for all the info you need on sizing and fit. All measurements are in inches and all products are listed in Malaysian size. *Psst.. Not sure how to wear our sports hijab? Click here for the tutorial! Iron-less, pin-less and knot-less. It will only take a few seconds to Grab, Wear and Go! If you have a question for us, or would just like to say hello to our team, drop us a message at +6011-23216292 and we’ll see how we can assist you. Or alternatively, you can shoot us an email at [email protected]. We’ll be in touch with you as soon as possible.